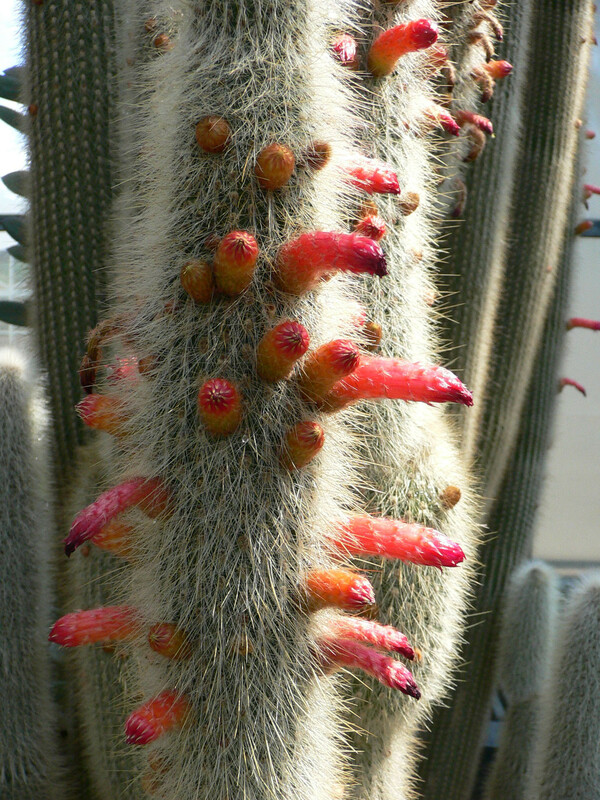 Description: This erect columnar cactus is native to Bolivia and reaches up to 10 ft (3 m) in height. Quick and simple to grow, it has multiple, grayish green stems, covered with fine yellowish spines mixed with abundant long white bristle. Profuse deep red, cylindrical flowers develop straight from the stems in late summer, but only on older plants. 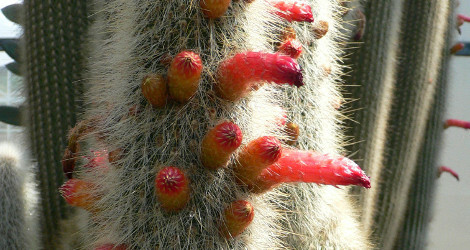 This species likes full sun and extremely porous soil. Older plants may need staking or they tend to fall over. Culture: They are mostly robust plants which are easily grown in well-drained soil in a sunny spot. They are moderately frost and drought resistant but may be susceptible to mealy bug and spider mite. Propagate from cuttings or seed. Image #00 (cropped) & #01 (original) from Wikipedia. No attribution information given. Last accessed on Monday, March 05, 2018.